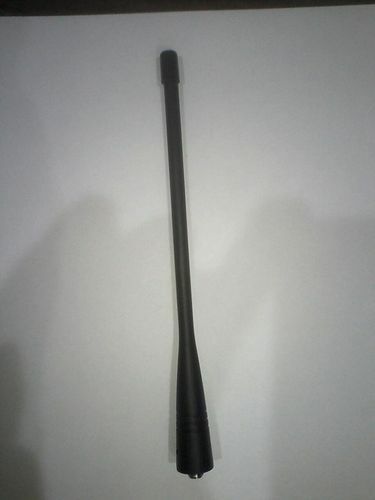 We are putting forth to our clients Two Way Radio Antenna. These product are exceedingly utilized as a part of the business attributable to their solid execution and more useful life. Our offered product are created by vendors utilizing the high review of crude material which is purchased from real vendors. Additionally, we are putting forth these product in distinctive particulars. Greenway Multi Ventures Pvt. Ltd. was established in the year 2012 and since then we have been able to position ourselves as the leading manufacturer, supplier and trader of Surveillance Security Equipments. Our firm also acts under the brand name of Motorola and Aspera and have a broad product portfolio, which includes Walkie Talkie, CCTV Cameras and Metal Detectors. When it comes to security, it is not constraint till the home or office, but it is important to any place where there is a public movement and then too in a large number. We understand the importance of safety and hence have been engaged in developing hi-end security products which are enabled with technology and are designed using cutting-edge expertise. Moreover, we are offering reliable installation and rental services which have gained vast customer base. Our focus is to deliver the best security products which require no education to operate. Our products are precisely designed, superior performance, longer service life; we use greater amount of innovation in the production process. The detectors we develop can sense any kind of insecurities while ensuring the greater amount of safety. The cameras available are highly efficient and are accurately designed keeping the need of the clients in concern. Through our products we have gained a respectable position in the industry.